Roman studied visual communication at Burg Giebichenstein University of Art and Design Halle (Saale) in Germany, and under Professor Fred Smeijers for a typeface design master’s degree at the Academy of Visual Arts Leipzig. 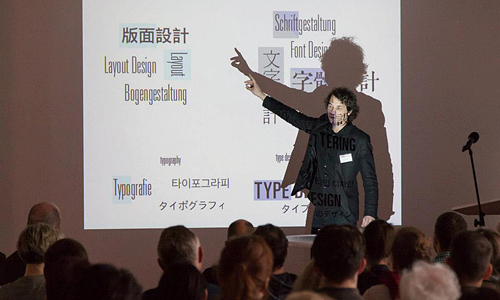 Besides working for Berlin-Beijing-based studio Inside A Communications, he was a member of the Multilingual Typography Research Group at the Zurich Academy of the Arts and HEAD GenevaHEAD Geneva from 2007 to 2013. From 2018 to 2019, he is a substitute professor of typography at Braunschweig University of Art (HBK). A fluent Chinese speaker, his work focuses on cross-cultural mediation, bilingual typography and typeface design. A frequent visitor of Asia, he has taught at various academic institutions, such as the China Central Academy of Fine Arts (Beijing), the Hong Kong Polytechnic University—School of Design, or the Seoul National University (College of Fine Arts). In 2015, he was an artist in residence at the Hong Kong Baptist University—Academy of Visual Arts and participated at the Typojanchi Biennial in Seoul. His typefaces are sold at Arphic (文鼎字库)—Taiwan, 3type (三言)—Shanghai, Fontspring and MyFonts (coming soon). Occasionally, Roman works with sound. You can find and listen to some of his related projects here. 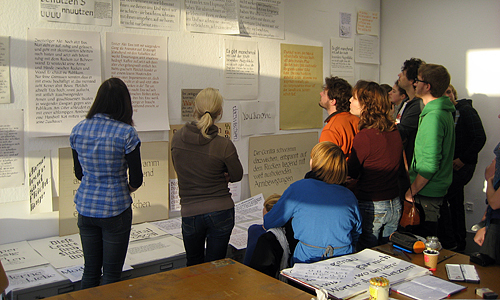 Teaching at Burg Giebichenstein Kunsthochschule Halle. Leipzig type conference Typotage, 2013. Image by Kaus-D. Sonntag.